At Pakenham Steering & Suspension we know that to get the best life out of your tyres, your wheels must be aligned. All brands of tyres for all types of cars. After owning Pakenham Exhaust and Brakes for 22 years, I decided there is a need to specialize in accurate wheel alignments with the modern vehicles changing and needing to have the specialized equipment to work on them, with SAS (Steering Angle Sensor) its very important to reset this after a wheel alignment ensuring your safety on the road. We're a small business at Pakenham Steering and Suspension with a focus on providing professional customer experience in an open and friendly manner. I have over three decades of mechanical experience, in the automotive trade. The knowledge of 4WD driving experience to the top of Australia (Cape York) this year 2016 I understand what is required of a vehicle for a safe and reliable trip on all sorts of roads/terrain (recommend fitting diff breather). I believe it is essential to have a pre road trip check over before heading off on any 4WD trip. 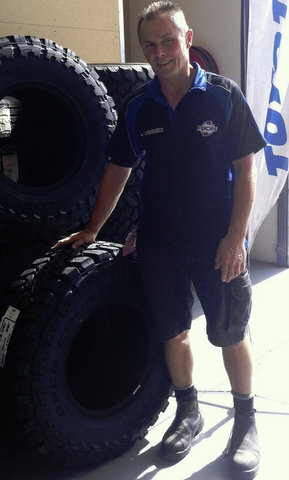 Specialising in 4x4 products – tyres, suspension and lift kits and stocking a premium range of tyres. Pakenham Steering and Suspension also provides expert tyre servicing ranging from wheel alignment, balancing and puncture repair. With the newer technology nowadays, (common rail) I would recommend extra fuel filter and water sensor combination. Feel free to ask for David or Kylie when you visit us.